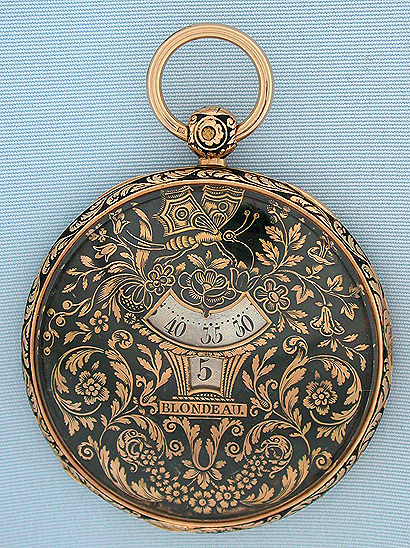 Fine and unusual slim French 18K gold champlevee enamel digital antique pocket watch by Blondeau, Watchmaker to the King, circa 1830. 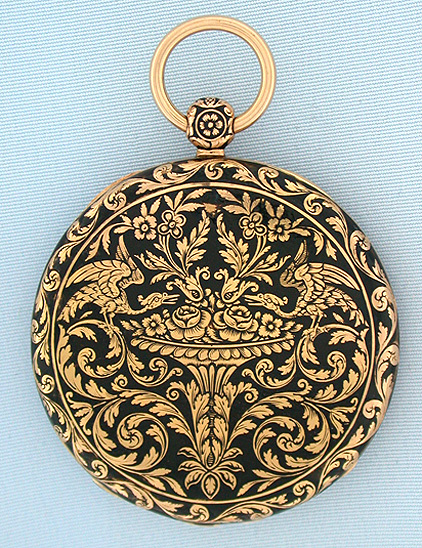 The case and dial of this very attractive watch completely covered with beautifully executed inhabited foliage against a black enamel background, the design extending to the bezels and pendant. 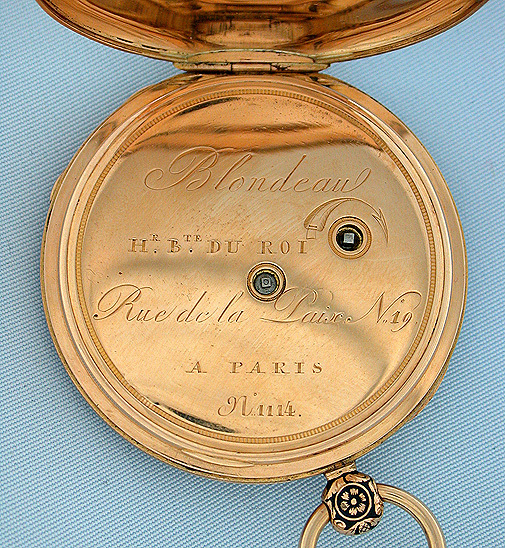 The dial with apertures for jump hours and running minutes. 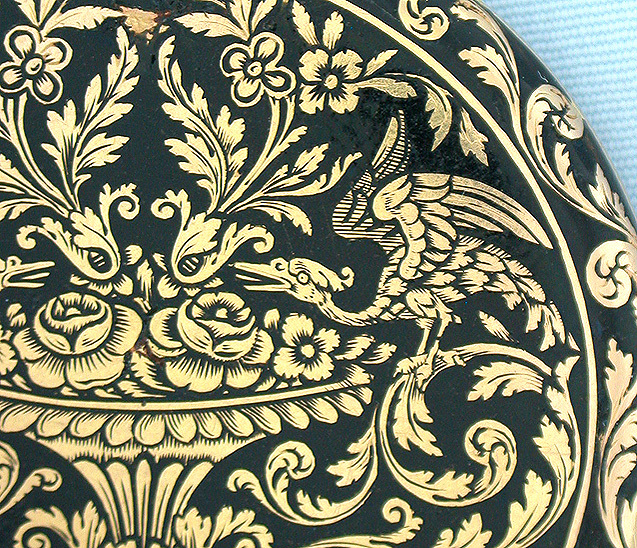 The design of the birds and butterfly are unusually whimsical and most attractive. 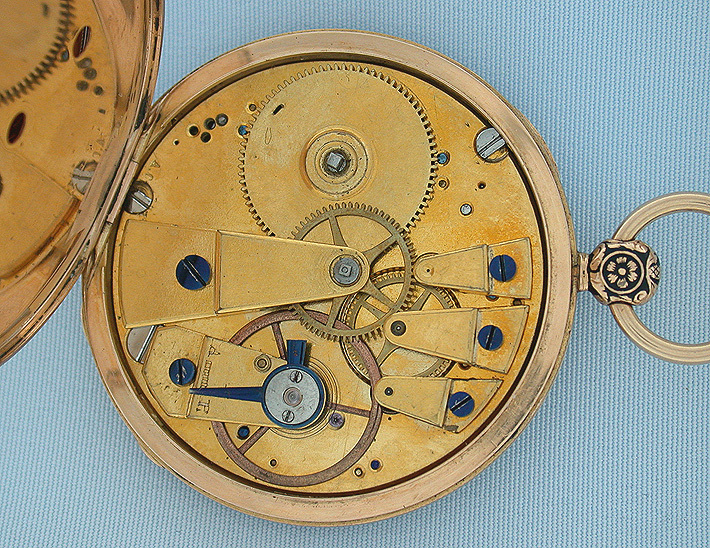 Gilt 6 jewel keywind cylinder movement with the escape wheel under the dial to reduce the thickness. I do not recall ever having seen another digital watch from this period with champlevee dial. 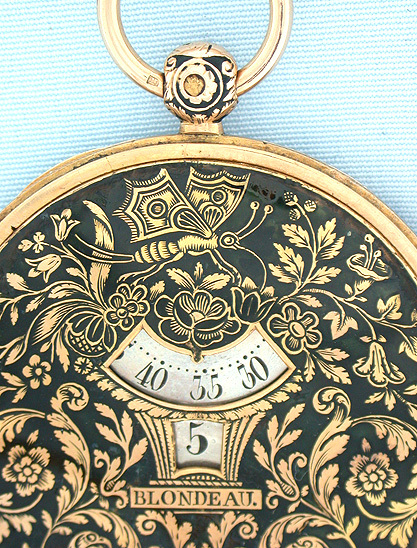 Numerous small restorations to the enamel on the dial and case. Handsome.